With a practical and appealing floor, you can enhance the functionality and the aesthetics of your working and living spaces. Buckingham Flooring has been dedicated to providing quality flooring to homes and businesses throughout the Buckingham area since 1996. 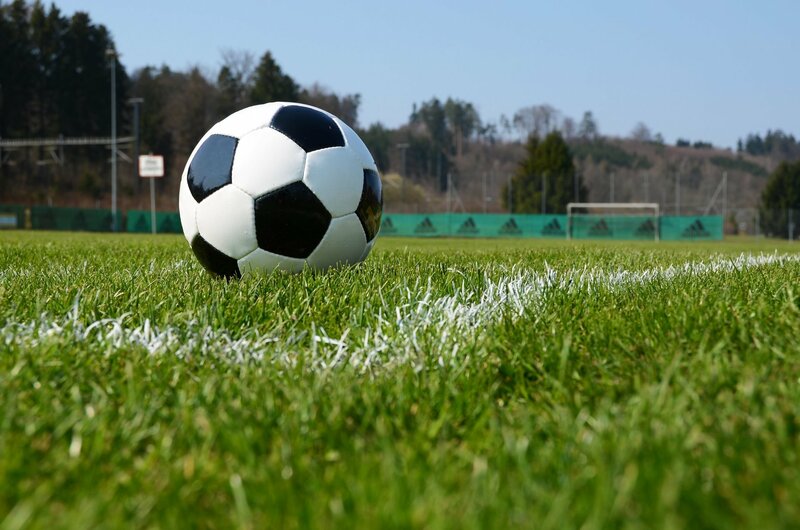 As a way of giving back to the local community, our team regularly undertake a wide range of charity work. We’re proud to help those in need and thank the wider community that has supported us for so many years. 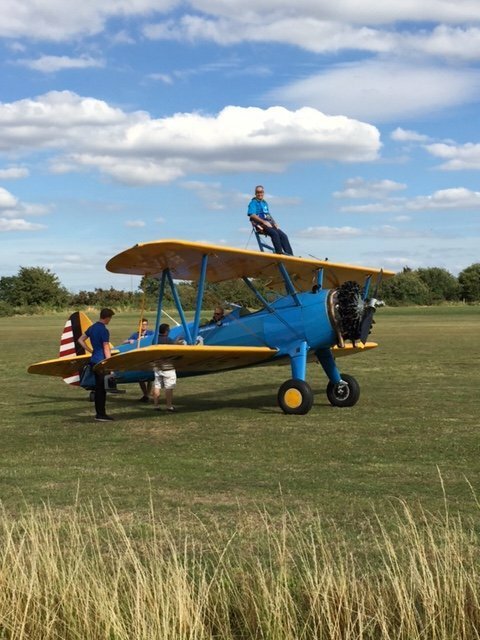 Taking a ride on the outside of an aeroplane isn’t everyone’s cup of tea, however, at Buckingham Flooring, we know that when you want to make money for charity, you really have to go that extra mile. 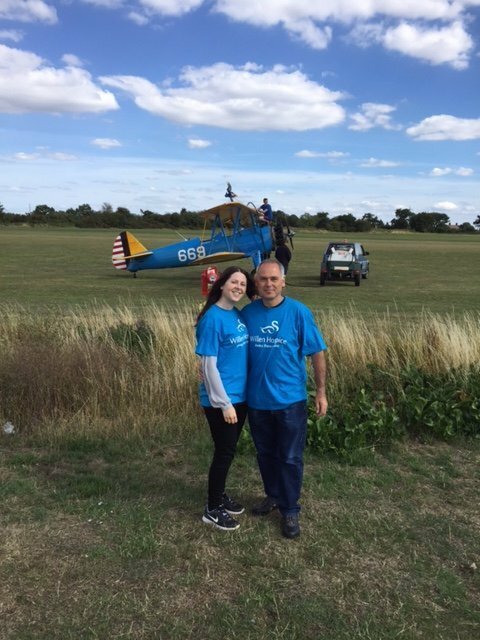 Take a look at the pictures below to see our managing director, Gordon Reboul, flying high while raising money for the local Willen Hospice. 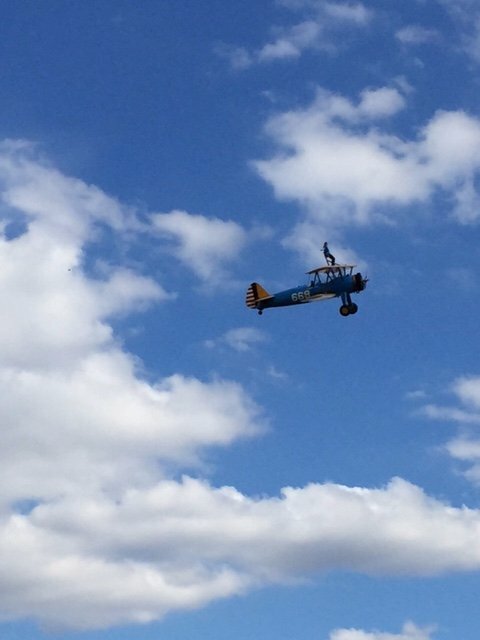 We have also completed a sky dive and hold an annual Christmas fancy dress party for the charity. 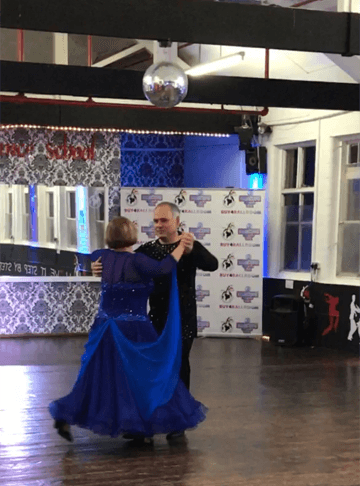 Last year Gordon set himself the challenge of learning the Waltz, Rumba, Jive and Quick Step and completed a bronze medal grading for all four dances, he passed with honours and raised £1440.00 for Willen Hospice. 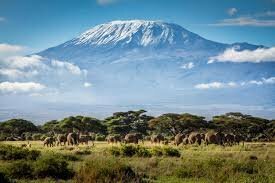 The next challenge Gordon has set himself in 2017 is to climb Kilimanjaro and training is currently underway. 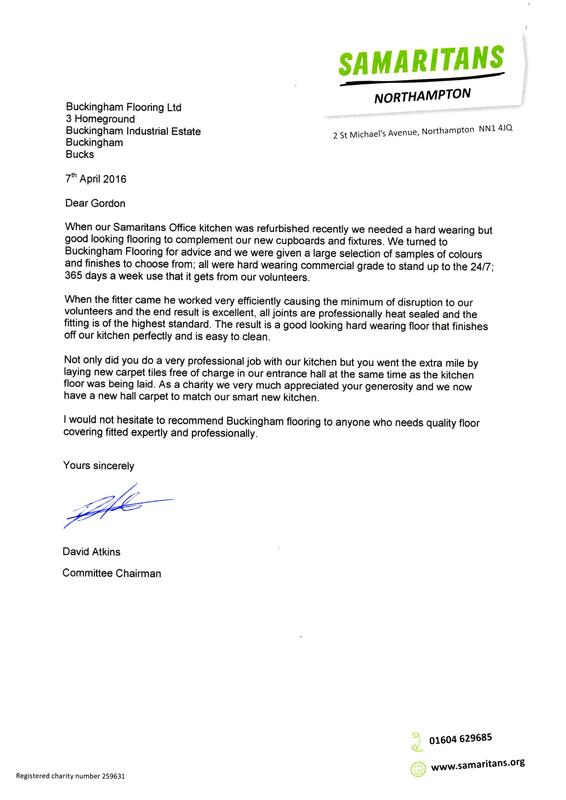 Anyone who wishes to sponsor Gordon, can do so through Buckingham Flooring. The four charities he is raising the money for are Willen Hospice, Alzheimer’s Society, CRY (cardiac risk in the young) and the Samaritans. 100% of the money paid, will be split between the charities. 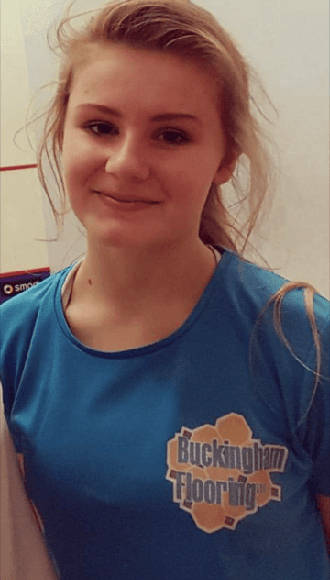 At Buckingham Flooring, we firmly believe in supporting and developing local athletes. 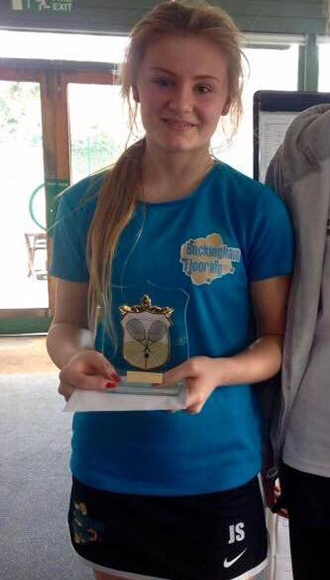 We’re proud sponsors of local football tournaments and we are very pleased to introduce our local squash champion, Jemma Stanton. At a recent flooring installation for the Samaritans in Northampton, Buckingham Flooring were pleased to be able to help stretch the charities budget a little further by laying new carpet tiles in the entrance hall free of charge. Read their letter of thanks below.